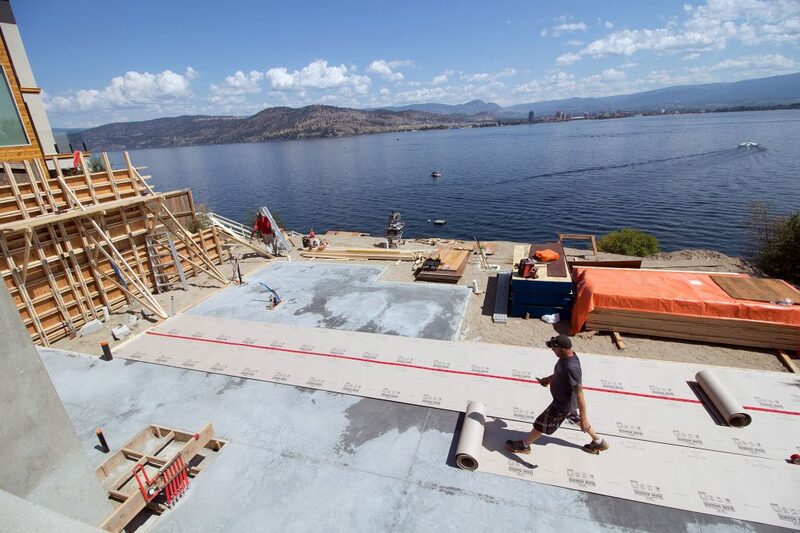 We’re at the stage in our custom Kelowna home build, that most of the concrete is poured and we can start the process of framing. We do have a little more concrete to pour in the garage, but that will have to wait until we have some of the framing done. This is because the garage actually has space underneath it – so it won’t be sitting directly on dirt. 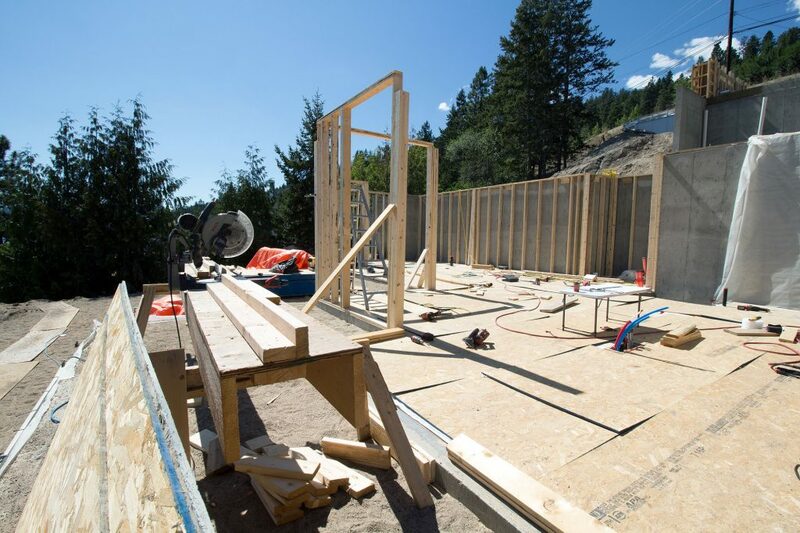 We’ve done some framing around the concrete that we’ve poured in the basement / ground level. 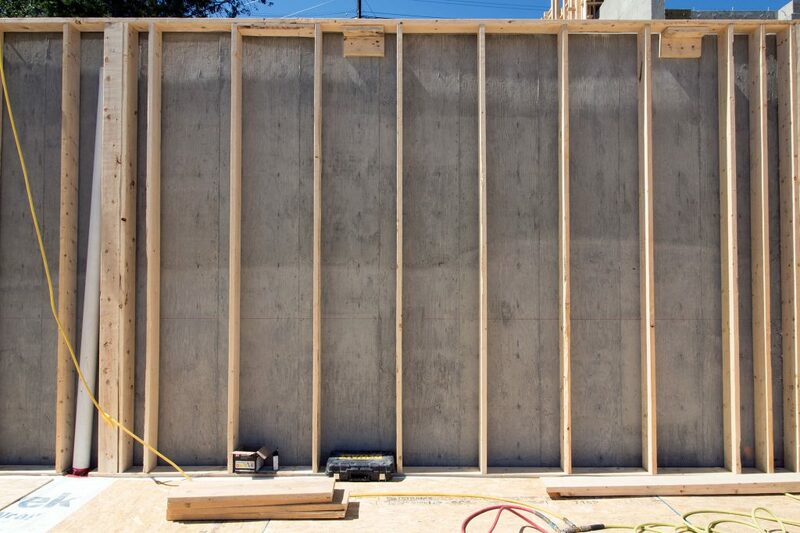 We’ll need these initial walls to attach the beams and structure to. 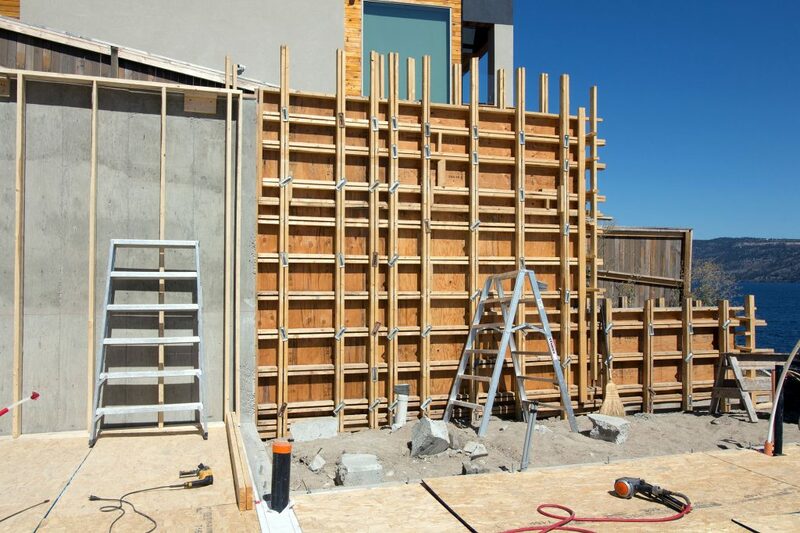 With custom home builds, this part can be the most complicated. 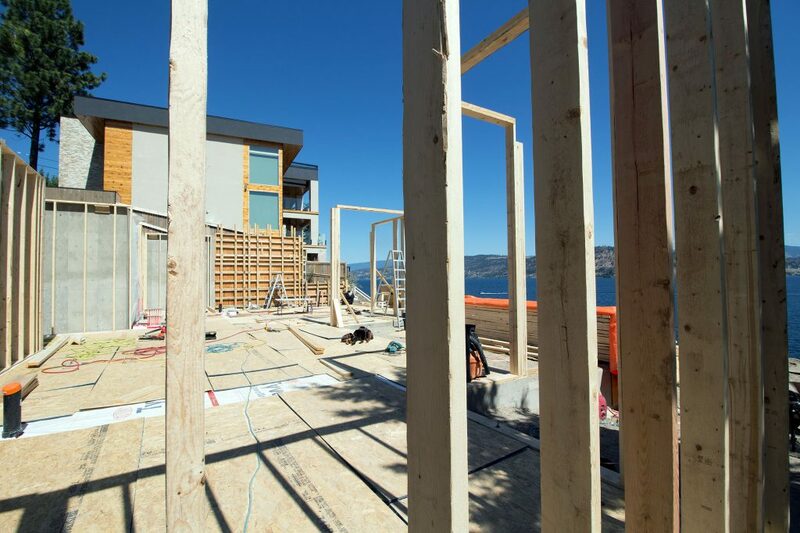 Some homes are designed with massive gaps that require massive beams to hold up each floor and roof. This house is only feet from the neighbor’s house. 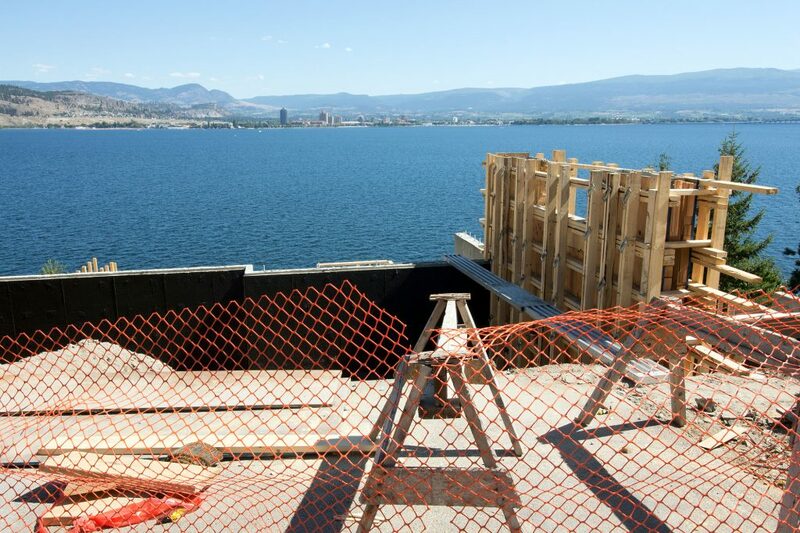 We take every precaution we can when building a home so close to other dwellings. At this stage, referencing the master plan is key. Everything fits together like a puzzle piece, and if any one detail is out of place, it’ll throw off the rest of the framing. 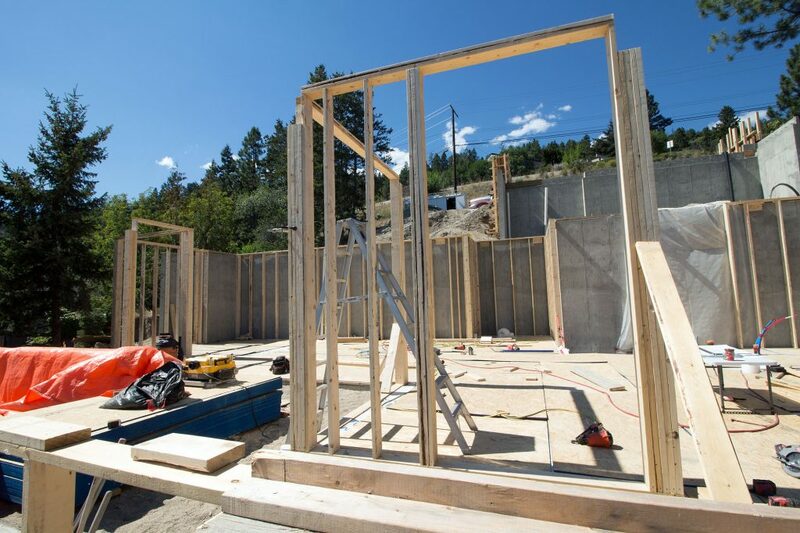 We’re just getting started on the framing, but once the initial walls go up, things will move along much quicker. 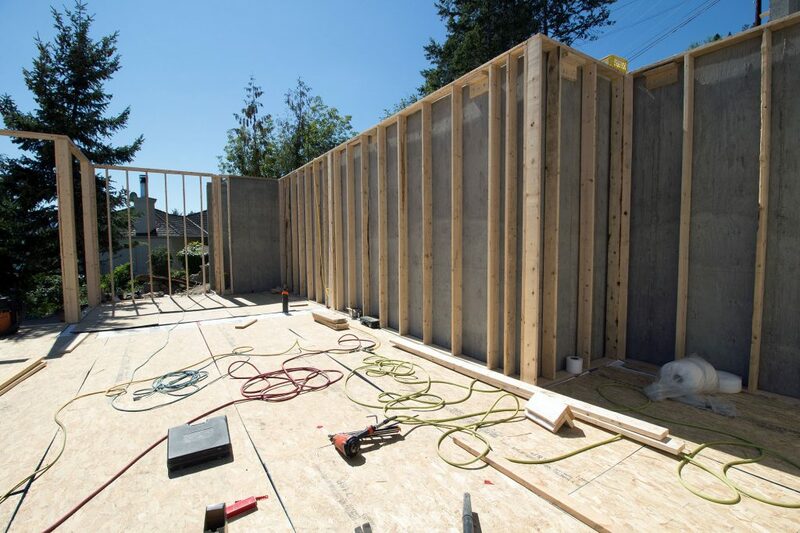 We’ve laid down plywood to protect the initial plumbing and floor insulation during this part of construction. This home features many large gaps on the ground level. 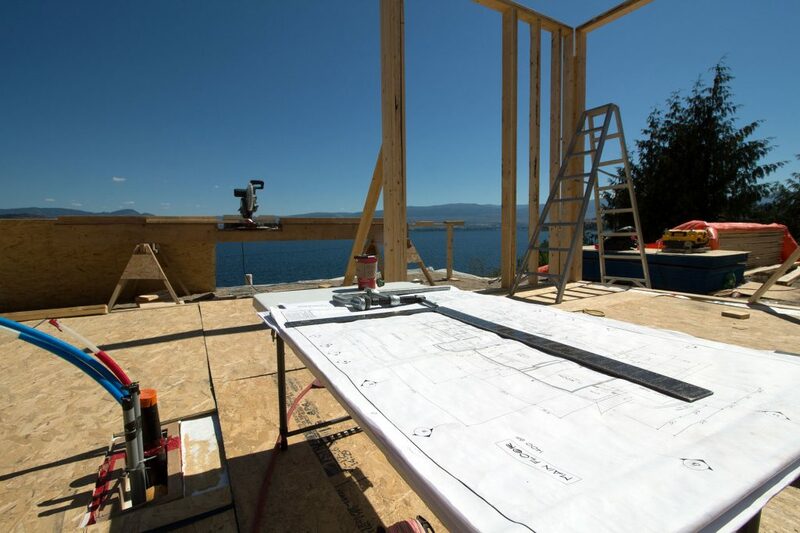 With sweeping views of Kelowna and the lake, this custom build will take full advantage of it. Here you can see “street level”. Most of the build is happening below this level. 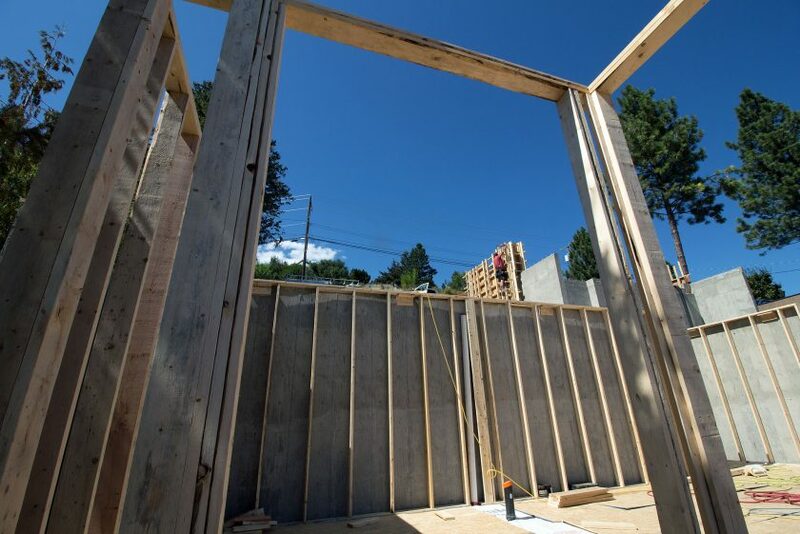 Once the framing begins, we’ll be above street level fairly quickly. 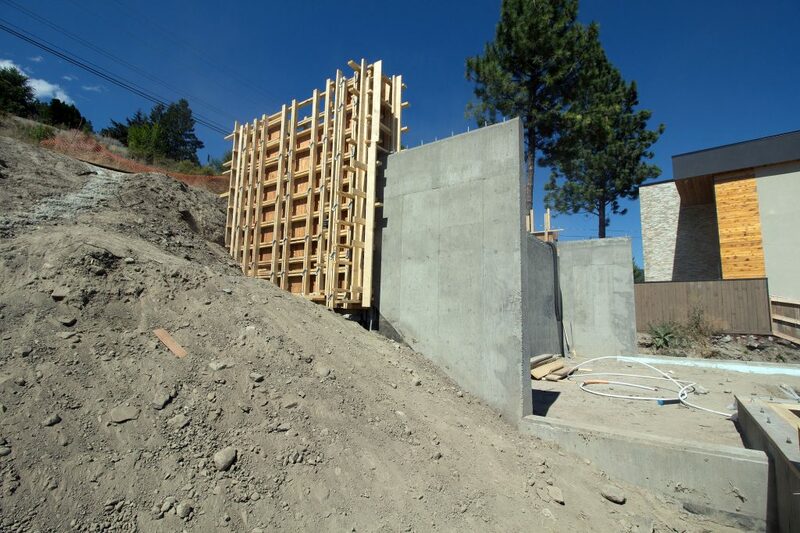 This home features two levels of the house that will be below street level. 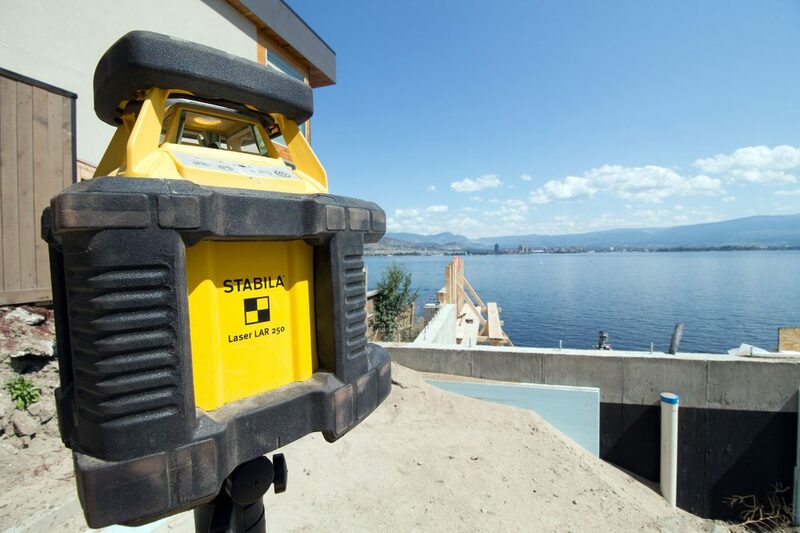 Laser levels are used to ensure every detail is perfect. 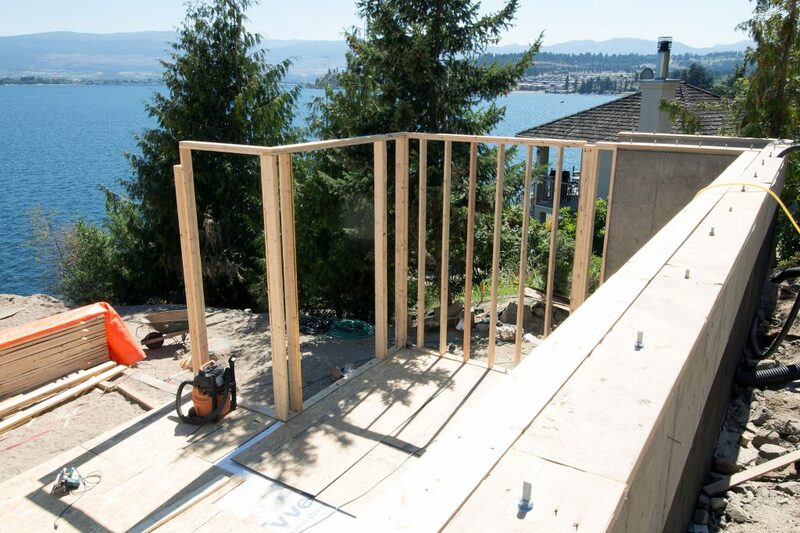 Here you can get a good view of how the house is built into the side of the mountain to get that great lake view.